The Russian State Duma (lower house of parliament) passed a bill on making Vladivostok a free port. The city will enjoy free port status for 70 years, with a provision for an extension. In addition, 15 municipalities near Vladivostok, as well as the ports of Nakhodka, Zarubino and Posiet will come under the free port zone. Under the free port regime, which comes into effect in 2016, visitors to the city will be allowed to obtain a visa on arrival for 8 days. There will also be a customs-free zone and tax incentives for companies operating in the zone. Companies operating in the zone will have a flat income tax rate of five percent (instead of 20 percent) for the first five years, and 12 percent for the next five years. Additional taxes by way of payments to non-budgetary funds will be reduced from to 7.6 percent from 30 percent. Companies are also exempt from property tax. Several additional measures have been taken to provide safeguards for investors. 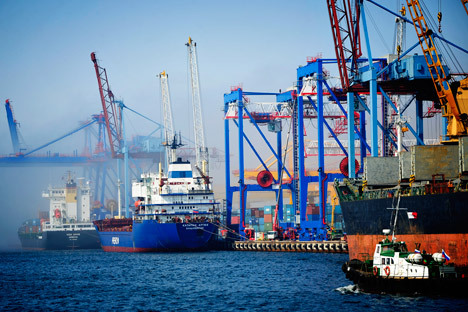 Russia’s Ministry for the Development of the Far East believes that the free port regime will increase the gross domestic product (GDP) of the Primorye Territory threefold in the next 20 years and the GDP of the Russian Far East by 30 percent over the same period.